The OLD DROGHEDA SOCIETY was founded in 1964 and is now one of the leading and most active local history societies in the country. We run the DROGHEDA MUSEUM in the MILLMOUNT CULTURAL QUARTER (with the aid of many volunteers and Community Employment workers) and organise a hectic programme of lectures, seminars, tours and outings, entertainments,town walks, workshops and festivals throughout the year. We also publish an annual highly-respected journal and a series of monographs and pamphlets on a whole series of heritage topics and we run a very active web site, with blogs that have an international reach. Our emphasis is on activity and interaction so if you would like to have a hands-on experience in museum guiding, historical researching, oral history recording, archaeological investigation, townscape surveying, video editing, document digitisation or just hopscotch classes (seriously .... Traditional Street Games Day!) this is the place for you! 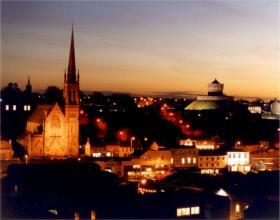 Note: Members are entitled to Free Admission to Drogheda Museum Millmount along with one guest! Please send an email (Subject: MEMBERSHIP) to info@droghedamuseum.ie with your name and address and pay a subscription by using the "Donate" button below. To view PDF files you need to have Adobe Acrobat Reader installed. To download Adobe Acrobat Reader from the Adobe website click the button below.